Once a hero, Karn corrupted himself in order to subjugate the land of Direwild. He then hunted and destroyed almost all that would oppose him. It is now up to a final band of heroes to try to put a stop to him. In Direwild, up to four heroes will move through the lands in an attempt to defeat Karn’s minions, and eventually Karn himself. Heroes will work as a team, purchasing creatures to aide their fight, gain magic, and uncover treasures. All the while, Karn is trying to hunt and destroy the heroes before they become a threat to him! Direwild is a completely co-operative game. All enemy actions in the game are controlled by A.I cards. It will take your group’s cunning, tactical prowess and deck building skills to overcome the threat facing the land. 2-4 players will choose from 10 unique heroes and set out working as a team to fight through three different lands in an attempt to defeat Karn. Each player will slowly craft their hero by the creature cards they purchase. When those creatures are brought into battle, the player then chooses how to combine them into one powerful creature! There are a huge amount of creature card synergies and hero power synergies to explore! With the player's current hand, they chose to build a cute, loyal, calm, scythed raptor! The minions of Karn are strong, and can only be defeated by tactical thinking on the part of the heroes. Should you try to attack a minion already distracted from a battle with your team mate? Should you instead go for some treasure? Or could you work out a way to use the terrain to your advantage? Whatever you choose, make sure you work as a team! There are over 130 creatures in the Wilds to build your deck from. Your strategy of building will vary from game to game based on the creatures available to your team. Treasures you uncover will also be different between games. Minions are randomly selected for each level, so you can play many games and never have the same mixture of enemies. There are 10 unique heroes to select from, and the team composition will change each experience as well. Even Karn has a wide variety of attacks that will keep you on your toes from game to game! A quick primer on Direwild, a fully co-operative deckbuilding dungeon crawler! A quick video showing how to set up a new game of Direwild! This game looks and feels amazing!! Hope you guys enjoy the playthrough of what I think is a hidden gem! Join our Slack group and you can talk to us directly! http://bit.ly/onestopslack Upcoming Playthrough GeekList: https://boardgamegeek.com/geeklist/228809/one-stop-co-op-shop-upcoming-playthroughs "Music from Epidemic Sound (http://www.epidemicsound.com)" As always thank you for watching! Read this first if you are about to play Direwild on Tabletopia! "What did I like about Direwild? 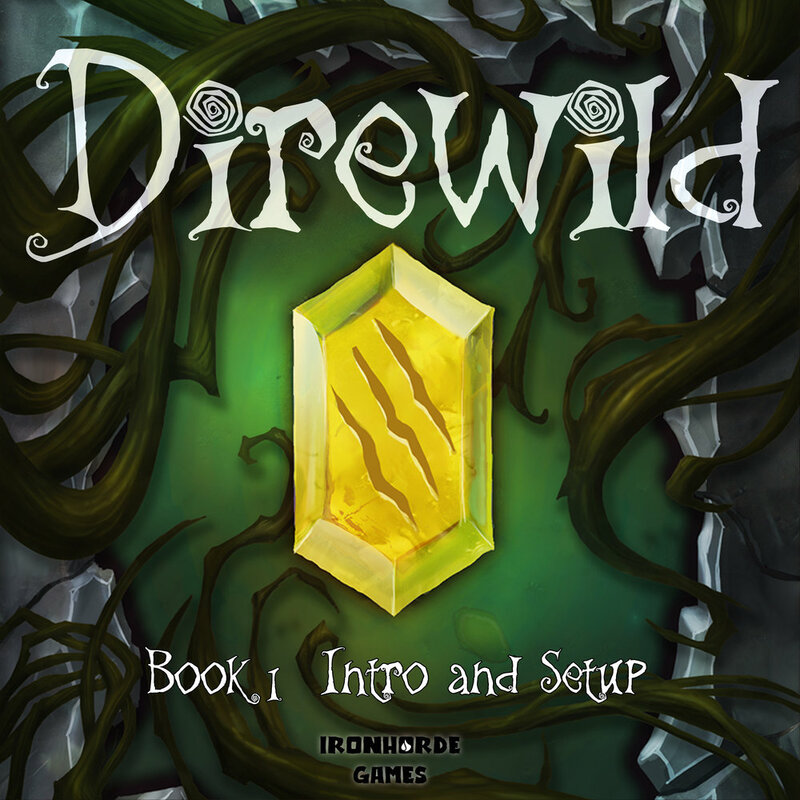 I liked everything about Direwild"
" Direwild is a thought-provoking, puzzly co-operative, dungeon crawling deck builder. It takes the best parts of a deckbuilder and fuses it into a fun dungeon crawl experience. Direwild is easily one of the best deck builders I’ve played and is certainly one of my favorite dungeon crawls. " "Direwild was an incredibly fun deck builder with unique character design, as well as a friendly and welcoming design. I'm extremely excited to be able to play this game with friends, as it is easy to pick up on, and provides challenging game play with a co-operative objective. In a world of PvP board games with a poor choice of Co-op games; Direwild rode to the top as one of my most anticipated Co-op board games." "Overall I really liked the variable player powers, randomized offer, consistent theme, and unique hand building mechanic. I haven't experienced a deckbuilder that had so many fun dungeon crawl elements until now." Have you played Direwild? Submit a review on our Facebook page! The deal was if you pledged a dollar, I would make an AUGMENTED CREATURE for your name.